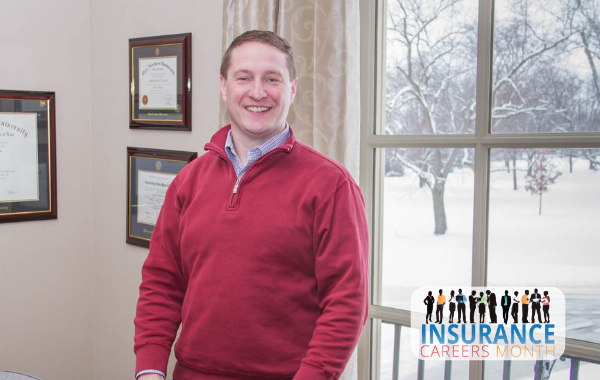 If you are in the insurance industry and am like me, you never thought of it as a career when you grew up, but have found it to be incredibly rewarding. While we in the industry can appreciate the opportunities offered by this career path, it can be challenging to convince others what a rewarding career insurance can be. The insurance month's career movement is trying to do just that. Recent studies reveal 25% of insurance personnel are expected to retire in the next few years and leave several hundred thousand positions unfilled. Higher education from the risk and insurance programs only meets 10-15% of the industry's forecast staffing needs. Unfortunately, most of the university's degree radar does not include insurance careers – less than 5% of those who enter the workforce for the first time express interest in working in our industry. So how can we change that? By sharing the message that insurance is career trifecta: stable, rewarding and boundless. Research from Insurance Careers Month Movement indicates that 50% of the generation that is now entering the workforce wants a stable job, 64% want to make a difference and 46% want different career opportunities. Insurance funds offer all three. Stability. Even when the economy takes a downward turn, individuals and companies will always have to insure themselves. And in almost all employment cycles, unemployment in the insurance industry is 2-3 percentage points better than for the general population. Reward. We make a difference every day when we help our customers get the coverage they need or handle a loss they have suffered. We make our customers a promise to provide security, protection and peace of mind, and we fulfill that promise when they need us most. Limitless. The insurance is as different as it comes! With many career opportunities and opportunities for professional growth, there is something for almost all interests – marketing, customer service, analytics, staff, law, accounting, IT, sales, finance, product development etc. People with all kinds of skills – problem solving, conflict resolution, negotiations, project management , collaboration, teamwork, relationship building – can find different opportunities to distribute these skills in the insurance industry. How did you find your first job in insurance? Why have you chosen to stay and make it your career? Take the opportunity to share what you think is meaningful about your work with others, not just this month but throughout the year. You never know who you can influence to pursue a stable, rewarding and endless career in insurance.